When you spend 7 years of your life pursuing the opportunity to become a Certified Child Life Specialist, you begin to form an identity and a foundation that defines who you are. The theories of child development and the importance of play begin to penetrate your blood until it becomes part of who you are. Coping skills and therapeutic interventions become your immediate answer to any challenging behavior or life circumstance, and you begin to think your biggest professional challenge is proving your worth as a profession to the other members of the interdisciplinary health care team. But I've run into a completely different type of professional challenge... a professional identity crisis. After 7 years of working to become a CCLS, studying to become a CCLS, fulfilling all of the requirements of certification, paying my annual dues, and advocating for my profession, I have reached a crossroads in my life.... I have never actually been employed for pay as a Certified Child Life Specialist. I look down at my name badge and glance over my job description and realize that no where does it indicate "Child Life" or a "Children's Hospital." Or I can be proud of where I work and what I do, educate my fellow child lifers on non-traditional settings for child life, and educate my coworkers on the skills I do have because I am a Certified Child Life Specialist. I would like to be able to boast that option 2 is what I have been doing, but unfortunately, wallowing in the perception of failure is probably more reflective of the truth. 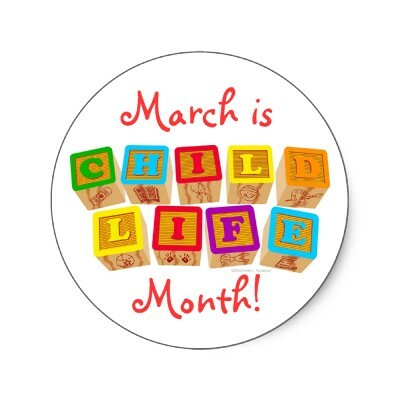 If you did not already know, March is Child Life month. It's the 31 days out of the year where Child Life professionals all across the globe 'go big or go home' when it comes to showing professional pride, educating others, and planning exciting events in the work place. So this year, as I reflect on my profession, my journey here, and my current place of employment, I want to swell with pride again to be a Certified Child Life Specialist. I want to be proud of what I worked hard for and feel no shame for the simple fact that my name badge does not read "Child Life." No, because I am a Child Life Specialist. Every day I use my skills as a Child Life Specialist. I rely on my knowledge of developmental theory. I facilitate therapeutic interventions. I utilize play with children as an integral part of learning, coping, and communicating. I am a Child Life Specialist, and I do not need a name badge to validate me as a Child Life professional. So in the spirit of Child Life Month, let me tell you what I do every day. Coach parents: One of my main roles is to supervise visits between parents and children who have been separated by the Department of Family and Children's Services due to allegations of abuse, neglect, etc. (I am not employed by the state; however, the state contracts out my organization to provide psychosocial and clinical services to their clients.) Through supervising visits, we complete assessments and provide modeling and coaching to parents. This allows them to learn developmentally appropriate parenting techniques and demonstrate mastery of them. This is where I get to do child life! Most of my parents do not understand basic developmental milestones, appropriate developmental stimulation, and the importance of limit setting with their children. While most of my children here do not have a chronic disease, they are emotionally scarred from some type of traumatic experience. Support children: Even though in the visitation program, the client is the parent. All of our children have experienced some sort of trauma, abuse, neglect, or poor decision making on their parents part. Because of this we often see behavior challenges, emotional outbursts, and developmental delays. So not only do our parents desperately need to know how to parent in a developmentally appropriate way, they also are in need of knowing how to respond and support the emotional needs of their children in a developmentally appropriate way. This goes down to the basic need of not even knowing how to play with their children, so again this is where I get to do child life! I literally teach parents how to play with their children and use play as an integral way to learn from and with their children. Coping Skills: In the hospital, Child Life teaches and supports coping skills through new diagnoses, procedures big and small, and even death. In my organization, I teach and practice skills that allow my clients to cope through situations such as physical and sexual abuse, loss of family (i.e. realizing they may never be reunited with their biological family), and anger and depression as related to trauma, abuse, or neglect. My clients have experienced some of the most horrendous conditions and they have a lot they have to cope with every single day. It is my job to teach, practice, and support coping skills to assist them in managing the stressors of every day life as well as the uncertainty of their permanent living conditions. Life Skills: In the hospital, Child Life teaches and supports the big transition from pediatric care to independent living and adult care. Child Life also teaches and supports children to learn new life skills when given a new diagnoses or post major surgeries (i.e. transplants or amputations). In my organization, I teach and support the big transition of group care under the custody of the state to independent living as an adult. This includes: applying for and learning job skills; money management and understanding financial responsibilities; preparing and passing the driver's license test; finding and securing housing; applying for and preparing for college; and the list goes on. Not to mention skills such as time management, peer relationships, and respect for authority. So, today I am a Child Life Specialist. Every day I am a Child Life Specialist. It does not take a name badge to define me as one. In fact, I actually have my certificate of certification hanging in my office along with all of my Child Life text books and favorite distraction toys. Thanks for letting me share what I do. In all honesty, it was therapeutic for me because as I started this post by saying I have really been having a professional identity crisis. I've been second guessing myself and wondering if I wasted all of those years drowning myself in Child Life. But nope. Not at all. In fact, I plan on attending the national conference in May, and I know somewhere down the road I will be able to contribute to the infiltration of Child Life Professionals in non-traditional settings. For now, I have to maintain a relationship with the Child Life community, continue to pursue education regarding the growth of the field, and advocate for myself as a Child Life professional in the workplace. Hi Caroline!! I am so happy and relieved you told me to read this post at conference. 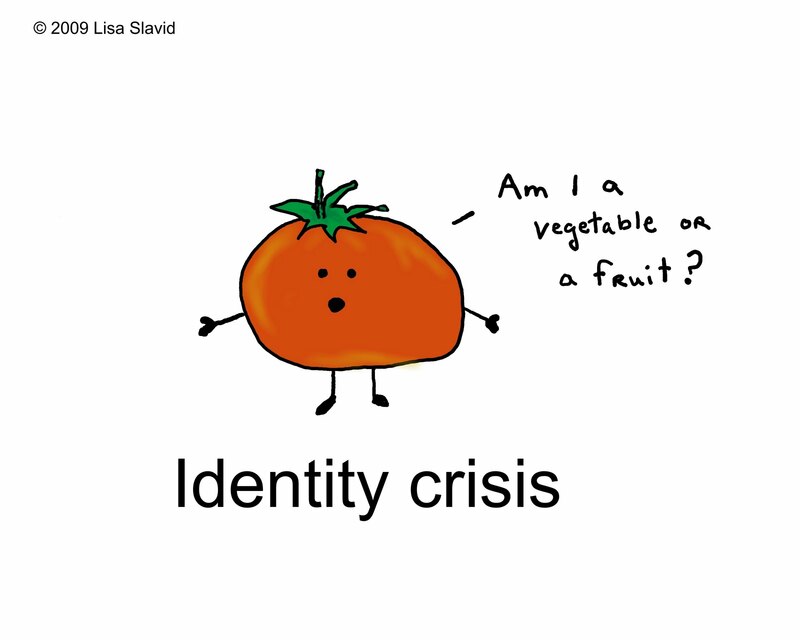 I know we can't be the only two struggling with an identity crisis in the Child Life world so thank you for opening up and writing on this important topic! I loved how you incorporated Child Life lingo to the child welfare system as that hits home for me too! Yeah, I completely agree with you opinion, cause we really need to support our children no matter what they do. Also we need to help every single person in the world, cause kindness is the best thing that have ever existed in our unknown universe. Thats why I am here to tell u one interesting story - when I need some help with essay I always get assistance from Eduzaurus, it helps me so much and I should say that very good guys work there. Useful article for future specialists. At first, it's very difficult to work with children, but then you realize that this is happiness! I constantly come to work as a holiday. I'm writing an essay for the college, you can look these up. We need to constantly develop and be patient and this is the key to the success of working with children!